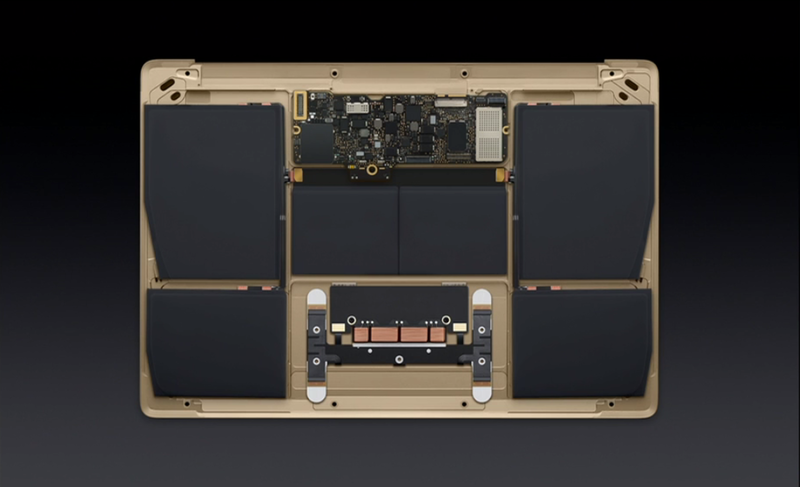 Apple’s new MacBook looks insanely great. It follows in a fine Apple tradition of forcing the pace of technological change by removing ports slightly ahead of what is practical (original jellybean iMac, legacy ports, floppy drive; Macbook Air, optical drive). It takes port-removal to almost its logical extreme, with only a newfangled USB Type-C port, which doubles as power, and a headphone socket. It also takes thinness that much closer to its asymptote, while it actually bumps against the width-asymptote (at least as long as we stick with full-sized traditional-layout keyboards). Computers can’t get much smaller without changing form dramatically. 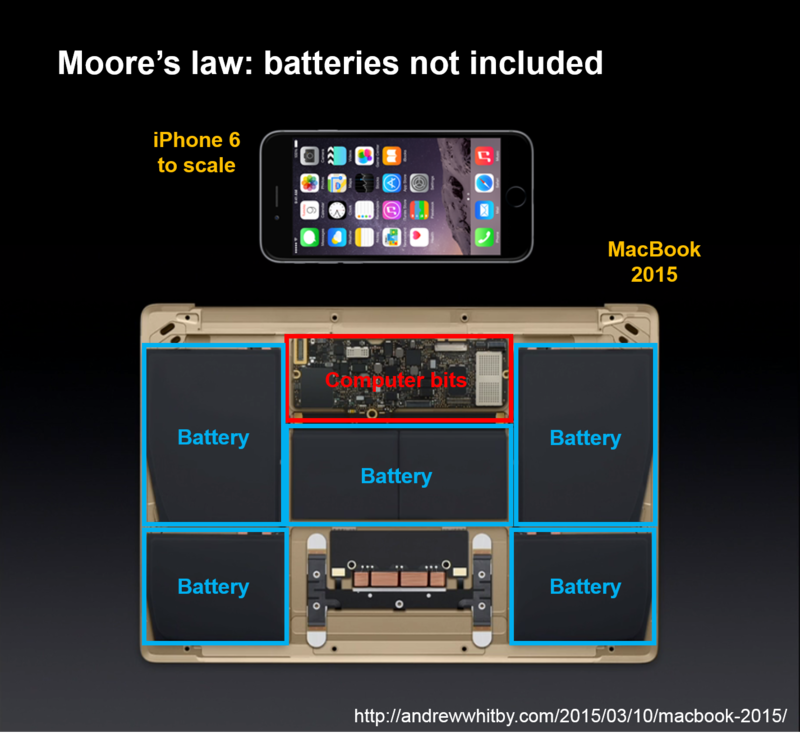 That logic board is smaller than an iPhone 6 (which, of course, is also mostly battery). Insane! ← Google’s data supremacy: should we be worried?